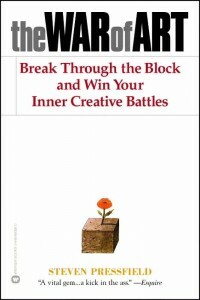 Steven Pressfield wanted to write a book for people suffering from writer’s block but ended up with a guide to being a happy creative in the more general sense. In short, Pressfield begins by identifying the enemy of getting your creative work done as ‘Resistance’. Then he goes on to talk about battling this enemy and finally, he talks about muses and adds some fluff to his otherwise pragmatic approach.